Rediff.com » Getahead » Has India sent a winner to Miss Grand International? Has India sent a winner to Miss Grand International? Note: Pankhuri Gidwani's beautiful smile, toned body and kind nature will win your heart! Lucknow-based Pankhuri Gidwani is just 18 but is already an Internet sensation. A second runner up at Femina Miss India Grand 2016, Gidwani is all set to make India proud at the prestigious pageant Miss Grand International. She'll be competing with 84 divas from across the globe on October 25 in Las Vegas, United States. She's the youngest beauty queen representing the country on an international platform after Priyanka Chopra. While we all wish for her victory, here are some pictures that prove she rightly deserves to win the title. IMAGE: Is this for real? Just see how this beautiful belle carries the colourful traditions and festivals of India embossed on her outfit for the 'National Costume Round' as part of the beauty contest. IMAGE: Pankhuri just got wings to fly. Shining bright in a yellow-grey swimsuit, she is a pure patakha (bombshell). IMAGE: While she soaks up the sun in a bikini, she looks nothing less than a million bucks! IMAGE: An enviable slender frame only comes when you sweat it out everyday! 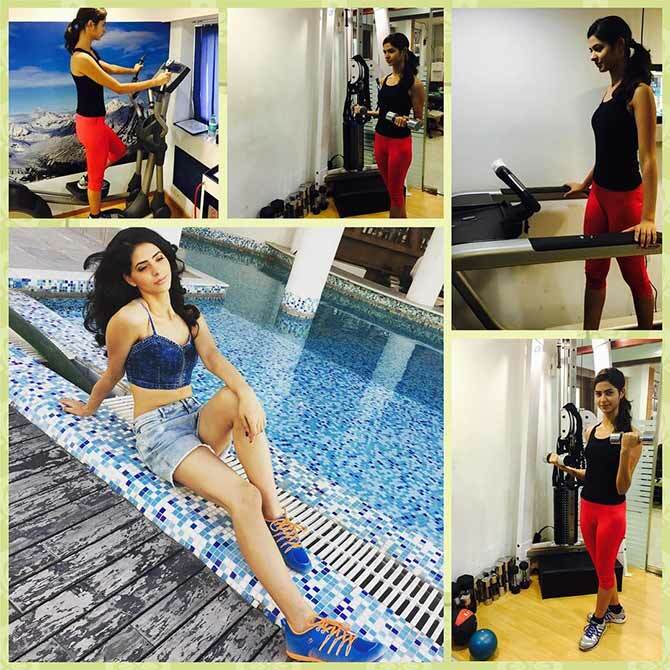 The fitness freak is good at striking a balance between her strenuous workout sessions and relaxation hours. IMAGE: Now how many young models get to share the frame with the Badshah (superstar) of Bollywood. For Pankhuri, second from right, it was a dream come true moment. 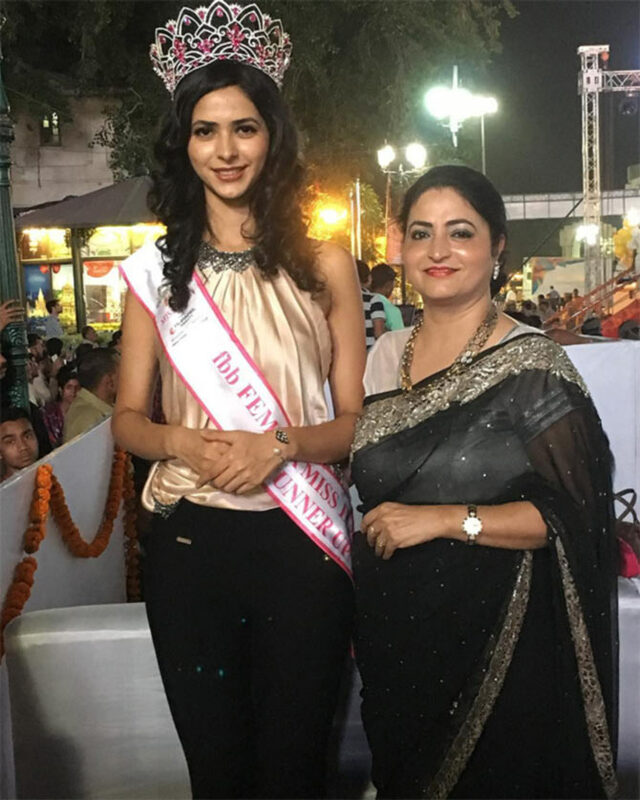 In the picture above, she is accompanied by Femina Miss India World Priyadarshini Chatterjee, extreme left, and Femina Miss India first runner-up Sushruthi Krishna. IMAGE: She even rocks the ethnic avatar in embroidered separates for brand FBB's (Fashion by Big Bazaar) festive collection shoot. IMAGE: Quite evident, she loves to travel in style! She looks stunning in a white quirky print Roxxluxe skater dress when she arrived in Las Vegas. IMAGE: When off-duty, she's goofing around with her fellow contestants and taking tours in Las Vegas. IMAGE: It's all in the genes! Here she poses for the shutterbugs with her mother, right after winning the Femina Miss India Grand title this year. IMAGE: She aims to "bring a change in the way we perceive INDIA globally." See how this young heart freely interacts with underprivileged children from a rural area in the country. IMAGE: So what if it isn't a cute dog or a cat, Pankhuri is an animal lover and can cuddle up a desi goat too. 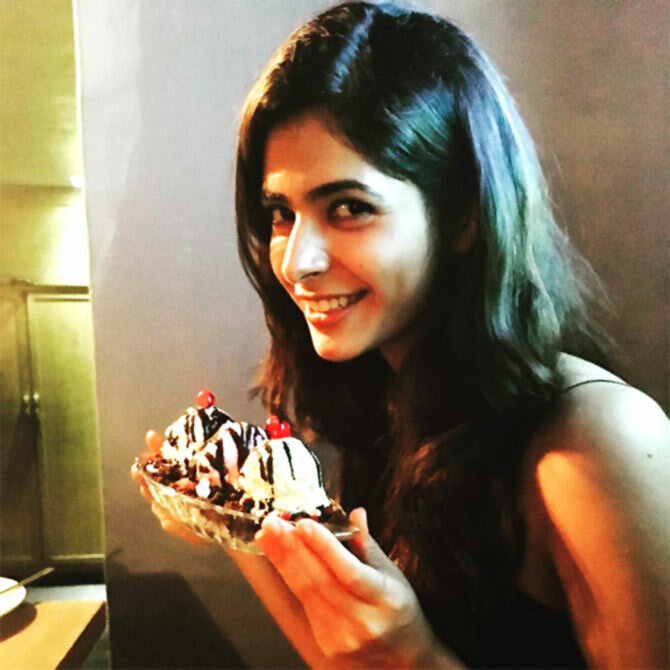 IMAGE: Her toned figure, glowing skin and that 100 watt smile sets Pankhuri apart. We couldn't take our eyes off this gorgeous picture from her initial modelling days. IMAGE: Captioning this picture 'Cheat look', she proves that models don't have to starve to look their best. IMAGE: OMG! Now that's one hell of a transformation. 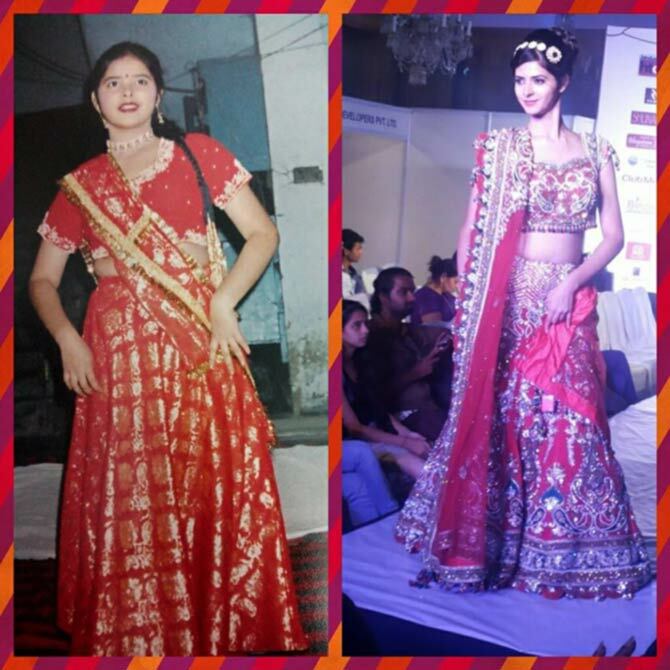 Notice how different our Femina Miss India Grand 2016 looked earlier, left.